mainstream crap? This is the true to life aftermath of one man’s contribution and reaction to the dull onslaught currently enslaving the human condition. be put through it all with no room for error. 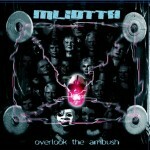 MLIOTTA is not of the ordinary and neither is this release. Play this one for your parents!